Before even considering how lighting control can save you from consuming energy, think about the lights you already use. Are the bulbs environmentally friendly? Are they efficient? If your home uses incandescent bulbs, the chances are that you’re unnecessarily spending more on energy consumption. The better approach is LED lighting. Not only can LED lights provide a beautiful scene, but they also are significantly more environmentally friendly than your typical bulb. LED lights, for example, use at least 75 percent less energy and last 25 times longer than incandescent bulbs. Do the math, and you’ll find that reduced energy usage adds up a lot over time! 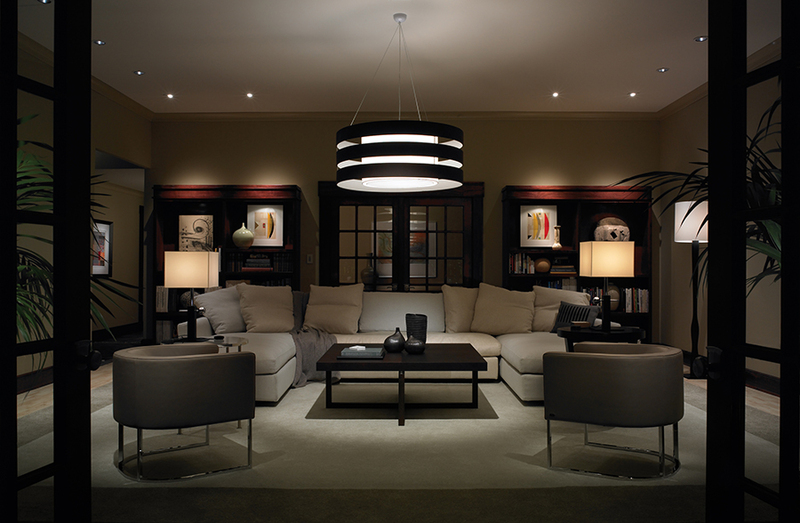 Through lighting control technology, we can merge the controls for each light into one integrated system. From an app on your smartphone or tablet, you can every light in your home on and off by pushing a single button. You can also adjust individual lights to any brightness you’d like. Consider you turn on the lights in your kitchen during the day. With some sunlight coming in, you don’t really need the overhead lights going at full blast, so you dim the lights. Even dimming to just 80 percent, your bulbs already are using less energy to operate. Now take it a step further – the lighting control system could automatically dim the bulbs to be the ideal brightness, then turn the lights off after a certain amount of time that nobody’s in the room. Just by tapping a few buttons on a touchscreen, in-wall keypad or even through your smartphone or tablet application, you can control your home’s entire lighting system. We even can integrate your lighting system with Amazon Alexa so that you can manage your lights with just your voice. If you want to find out more about home lighting control, just reach out! To get in touch, you can either call us today at (800) 878-9705, chat live with us at the bottom of this page or fill out a short form by clicking the button below. Ask Your Lighting Control Question Here!